The primary objective of the annual count is to monitor the status and distribution of bird populations across the Western Hemisphere. When results of the count are entered into the Audubon database we begin to gain a clearer picture how bird populations have changed over the years. The information is also vital for conservation. For example, local trends in bird populations can indicate habitat fragmentation or signal an immediate environmental threat, such as groundwater contamination or poisoning from extensive use of pesticides and chemical fertilizers. The first Christmas Bird Count was held on December 25th, 1900 in the U.S. Up until that year it had been a tradition for persons that liked the outdoors to engage in the Christmas Bird Hunt. People would go into the fields and forests in teams and shoot any bird the saw. Whoever brought in the biggest pile of dead birds by day’s end would be the winner! Many persons became concerned about the indiscriminate, senseless slaughter of these beautiful feathered creatures and worried about declines in bird populations. Ornithologist, Frank Chapman, an officer in the growing Audubon Society, an environmental movement, called for an end to the barbaric tradition. He suggested, that rather than shooting birds, people could count them instead. So began the Christmas Bird Count in the year 1900 with 27 dedicated birders counting birds rather than killing them! 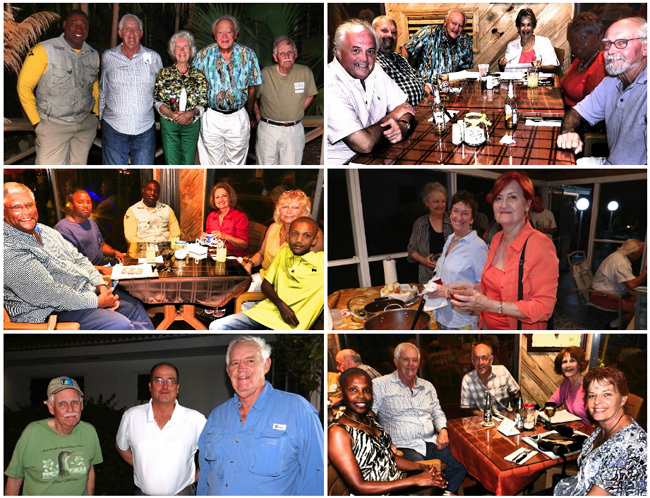 On January 4th forty Grand Bahama Birders gathered in five teams that were led by experts from the US and the Bahamas. The teams met for an orientation and social Get-to-gether the night before at the Gates’ Home where they enjoyed delicious home-made chili and beverages as well as freshly prepared dips by Nikki Meith, visiting birder from Switzerland. Team leaders were Dr. Elwood Bracey from Abaco, one of the outstanding birders in the Bahamas. “Woody” as he is affectionately called, set a Bahamian record in 2012 by having observed 242 bird species in the Bahamas within one year! 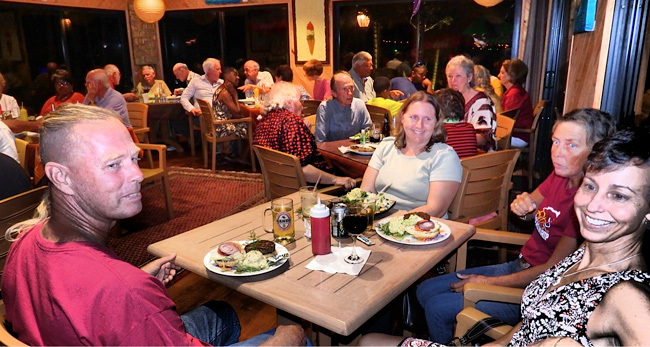 We were delighted to have Tony White return as a team leader from Bethesda, Maryland, who is not only the founder of the Grand Bahama Christmas Birdcount but was also the count compiler for 10 years. 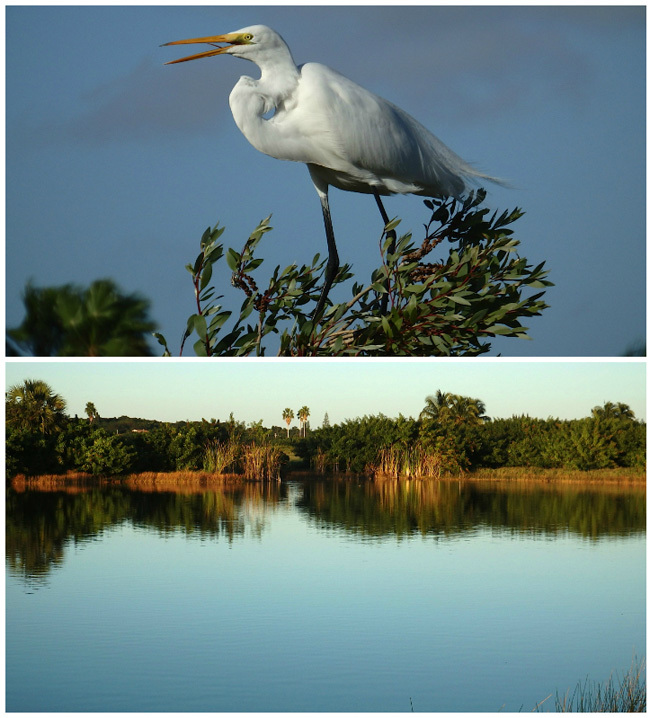 Tony serves on the record committee with the American Ornithologist Union for Bahamian Birds. He is the Author of the American Birding Association’s “Bird Finding Guide to the Bahamas”. Shamie Rolle of Calabash Ecoadventures lend his expertise to the count once again. Shamie’s passion for the environment and the birds are complemented by his knowledge about the marine life of the Bahamas, especially the cave and blue hole environment. Being on his team inspired especially the novice birders! Bruce Purdy, the count compiler, traveled from north Florida to Grand Bahama again this year to tally the results in the evening of count day during the “tally rally” and dinner at Garden of the Groves. Bruce not only led a team but he will be submitting the count results to the Audubon Society. Bruce also serves as a reviewer for submissions of observations of Bahamian birds into the eBird checklist program at Cornell University in New York. All 5 teams were out in the field for more than 8 hours that day and appreciated being pampered by Julie Ryan and her staff with a wonderful dinner at the Garden of the Groves’ Café.